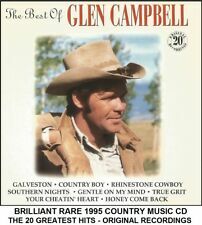 The Best Of Glen Campbell -Simply The 20 Greatest Hits & Favourites Collection - This excellent compilation is an excellent introduction for those who are not familiar with the legendary singers music.He's got a unique voice,instantly recognisable and a very laid back style of singing & is greatly missed by all his fans around the world. THE VERY BEST OF 2CD ALBUM SET. Kentucky Gambler. Workin' Man Blues. Daddy Frank (The Guitar Man). Old Man From The Mountain. I'm Gonna Break Every Heart I Can. Soldier's Last Letter. I Take A Lot Of Pride In What I Am. 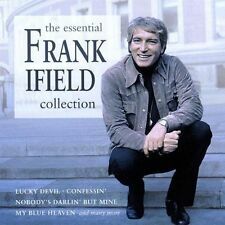 Frank Ifield : The Essential Collection CD (1997)Title: The Essential Collection Artist: Frank Ifield Genre: Country|Country Duration: 49.10 mins Format: CD / Album Type: CD No. of Discs: 1 disc(s) Studio / Label: EMI Music UK UK Release Date: 13 Oct 1997. Your item will be previously owned but still in great condition. The disc will play perfectly without interruption and the case, inlay notes and sleeve may show limited signs of wear. All of our paper waste is recycled within the UK and turned into corrugated cardboard. THE BLUEGRASS ALBUM. ALAN JACKSON. Way Beyond The Blue. Knew All Along. Wild And Blue. Blue Side Of Heaven. CD IS NEW BUT NOT SEALED. 6 Wayward Angel. 13 Lost And Found. 12 Guilty As Sin. 14 Saturated. 4 Bluebird. 9 For Sale. 8 Like A River. GLEN CAMPBELL. 34 GREAT HITS. For Once In My Life. 2-CD ALBUM SET. All I Have To Do Is Dream - with Bobbie Gentry. Livin' In A House Full Of Love. Country Boy (You Got Your Feet In L.A.). Rhinestone Cowboy. Extra Info – Anne Murray Greatest Hits. Anne Murray – Best of …so far. NEW CD (Sealed). A Little Good News. 100% Original Product. Could I Have This Dance. I Fall To Pieces. The Most Beautiful Girl In The World. Riders In The Sky. Top Of The World. Stranger On The Shore. The Twelfth Of Never. Love Song Of The Waterfall. Secret Love. CDP 746549-2. Be sure to add us to your Favourites List. WE HAVE THOUSANDS MORE CDS, DVD'S, T SHIRTS ETC TO LIST. 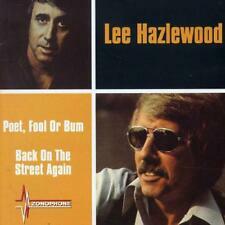 The Best Line Dancing Album in the World... Ever! 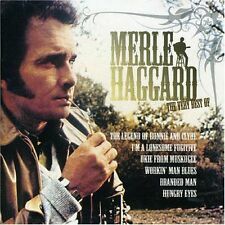 (2xCD, 2004). CDs are in good condition. Booklet and tray insert are in good condition. Case is in good condition. 18 CLASSIC COUNTRY SONGS. What The World Needs Now Is Love - Spears, Billie Jo. Sweet Dreams - Young, Faron. NEW & ORIGINAL CD. I LOVE YOU. Never Ending Song Of Love - Gayle, Crystal. When You're In Love With A Beautiful Woman - Dr. Hook. Bobbie Gentry : The Very Best Of CD (2005)Title: The Very Best Of Artist: Bobbie Gentry Genre: Country|Country Duration: 59 mins Format: CD / Album Type: CD No. of Discs: 1 disc(s) Studio / Label: EMI Gold UK Release Date: 20 Jun 2005. Audio CD (15 April 2002). Label: EMI Gold. Be sure to add us to your Favourites List. WE HAVE THOUSANDS MORE CDS, DVD'S, T SHIRTS ETC TO LIST. THIS BRILLIANT 20 GREATEST HITS COMPILATION CD BELONGS IN ANY GOOD MUSIC COLLECTION. The Best Of Glen Campbell - This excellent 20 greatest hits compilation is an excellent introduction for those who are not familiar with the legendary singers music.He's got a unique voice,instantly recognisable and a very laid back style of singing & is greatly missed by all his fans around the world. Coward of the County. The Gambler. Greatest Hits of Kenny Rogers. Kenny Rogers. NEW CD . Sweet Music Man. You Decorated My Life. 100% Original Product. Blanket On The Ground - Billie Jo Spears. Coward Of The County - Kenny Rogers. Ode To Billie Jo - Bobbie Gentry. Lucille - Kenny Rogers. Snowbird - Anne Murray. 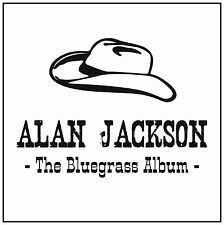 IF YOU LOVE TRADITIONAL COUNTRY MUSIC THEN YOU WILL LOVE THIS BRILLIANT RARE CD. Bouquet Of Roses - Joe Barry. Lovin Cajun Style - Rod Bernard. Cheatin Traces - Ray Frushay. Before The Next Teardrop Falls - Tommy Mclain. In The Jailhouse Now - Sir Douglas Quintet. Lonely Weekends - Ronnie Milsap. Artist:Gayle, Crystal. Product Details We want your experience with World of Books Ltd to be enjoyable and problem free. Your item will be previously owned but still in great condition. The disc will play perfectly without interruption and the case, inlay notes and sleeve may show limited signs of wear. 'The Very Best Of Bobbie Gentry' cd album. The cd is in very good condition. Dr. Hook - The Best Of Centenary Collection EMI 100 CD. 8 Only Sixteen 2:44. CD Album is calculated on a weight 101g-250g. 18 Cover Of The Rolling Stone (Live) 3:47. 17 Sharing The Night Together 2:52. Nat King Cole / Smile 2:53. The King Brothers / A White Sports Coat (and a Pink Carnation) 2:19. Frankie Lymon and the Teenagers / Why do fools fall in love 2:18. Ronnie Hilton / No other love 3:07. Russ Conway / Side Saddle 1:54. Country Tearjerkers. Very good. Fool To Fall. These are a 3 Cd set - sold without the outer cardboard sleeve. Jagged Edge Of A Broken Heart. Tougher Than The Rest. Your Cheatin' Heart. What The World Needs Now Is Love. PATSY CLINE - LOVE SONGS (CD Album). In superb condition with picture insert in a jewel case. I Love You Honey 20. Faded Love. I Love You So Much It Hurts. Hungry For Love. Your Kinda Love. I Cried All The Way To The Altar. As £35 Is A Worldwide Generic Estimate Only! Audio CD (15 April 2002). What A Love I Have In You. What the World Needs Now Is Love. Love Ain't Gonna Wait For Us. I Love You Because. Put a Little Love in Your Heart. Since I Fell for You. I've Got to Go. Helen Shapiro : The Essential Collection CD (1997)Title: The Essential Collection Artist: Helen Shapiro Genre: Rock/Pop|Pop Duration: 74.10 mins Format: CD / Album Type: CD No. of Discs: 1 disc(s) Studio / Label: Music For Pleasure UK Release Date: 13 Oct 1997. 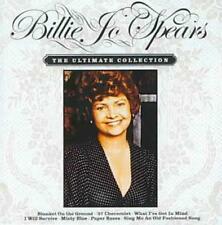 IF YOU LIKE THE SENSATIONAL MUSIC OF BILLIE JO SPEARS THEN THIS COMPILATION IS FOR YOU - A FANS DREAM. I'll Share My World With You. A RARE CD AT A GIVEAWAY PRICE - WHEN IT'S GONE IT'S GONE ! Put A Little Love In Your Heart. Ode To Billie Joe. Your Good Girl's Gonna Go Bad. Stand By Your Man. What The World Needs Now Is Love. Lizzie And The Rain Man. Sweet Music Man. Blanket On The Ground. See The Funny Little Clown. THIS BRILLIANT KENNY ROGERS GREATEST HITS COMPILATION CD BELONGS IN ANY GOOD MUSIC COLLECTION. Kenny Rogers - Country Classics - This excellentKenny Rogers Greatest Hits Compilation is an excellent introduction for those who are not familiar with his music.He's got a unique voice, instantly recognisable and a very laid back style of singing. IF YOU LIKE THE COUNTRY SOUND OF BILLIE JO SPEARS THEN THIS IS THE COMPILATION FOR YOU. Ode To Billie Joe. A RARE CD AT A GIVEAWAY PRICE - WHEN IT'S GONE IT'S GONE ! FROM MY OWN PERSONNEL COLLECTION - VERY WELL LOOKED AFTER FROM NEW. DESPERATE MAN. Desperate Man. 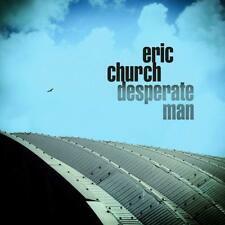 ERIC CHURCH. Drowning Man. Heart Like A Wheel. Higher Wire. Hippie Radio. Love Songs CD (2002)Title: Love Songs Genre: General|tbc Duration: 58.20 mins Format: CD / Album Type: CD No. of Discs: 1 disc(s) Studio / Label: EMI Gold UK Release Date: 15 Apr 2002. Walk the Line - Glen Campbell (2.08). God Only Knows - Glen Campbell (3.18). It s Only Make Believe - Glen Campbell (2.26). Bridge Over Troubled Water - Glen Campbell (4.38). Your Cheatin Heart - Glen Campbell (3.18). Artist John Berry Title Faithfully Release Date 1996-05-24 Label: EMI Records Number of Discs 1.